Tekken is a fighting game franchise that’s been around for quite some time. With its first installment back in 1994, it’s been around for more than 20 years and is home to one of the most diverse cast of characters and peculiar stories. With nearly every game revolving around the King of Iron Fist Tournament held by the Mishima Zaibatsu Corporation, it invites fighters from around the world to battle it out and show their skills. 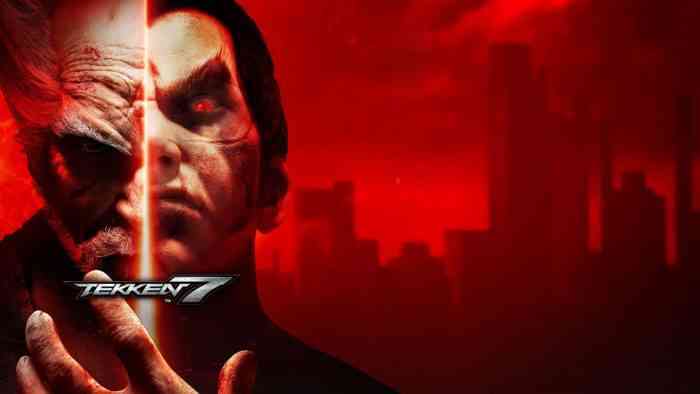 Tekken 7 keeps the same premise but has a darker-than-usual twist for the conclusion of the Mishima clan saga. 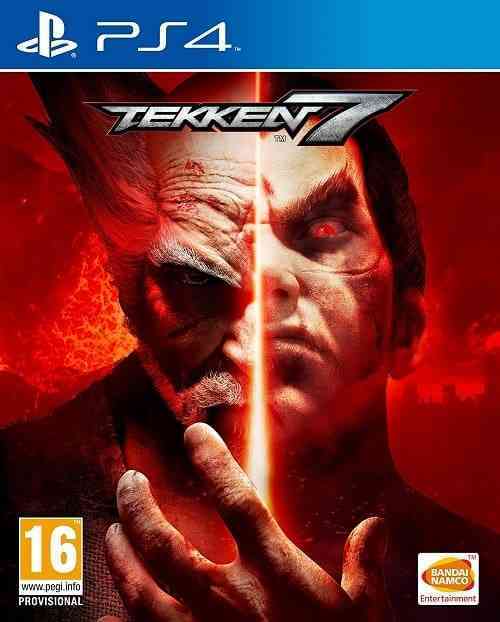 With a 5 year gap from the previous Tekken installment, is Tekken 7 worth the wait? Tekken 7 has three main modes to feed your fighting game desires. First is Story Mode where the storytelling is split into two sections – one that follows the entire Mishima Saga including events from previous installments, and the other highlighting specific characters not directly related to the story. Since there isn’t a dedicated Tutorial Mode, the Story Mode also sparsely gives guidance on how to use certain buttons and initiate certain moves, but really doesn’t do much justice. You play a handful of different characters as you progress through the chapters allowing you to get a feel for the unique fighting styles and learn about the various characters within the Tekken universe. There are over 30 characters to try out and get a hang of – some long-running returning characters and others completely brand-new. Overall, while the story has its flaws and weird moments, it’s enjoyable and highly entertaining. Sure, characters talk to one another in different languages, there are random unnecessary fights, and events that are so absurd they make you laugh, but it’s what makes Tekken 7 part of the Tekken franchise and exactly what it’s known for. It’s not often you get a grandfather, father, son, and grandson throwing each other off cliffs and into volcano pits to be in charge of a company running an international fighting tournament. Even more so, it’s a rather suitable entry point for newcomers to learn about Tekken’s lore without feeling overwhelmed. The second is Offline Mode that includes Arcade, Treasure Battle, local versus, and practice. Arcade is your straightforward run-through of a handful of stages with a final boss to conquer and see the credits role. Meanwhile, Treasure Battle is where you’ll spend a good chunk of time surviving battle after battle to obtain as much fight money and items as possible for customization. 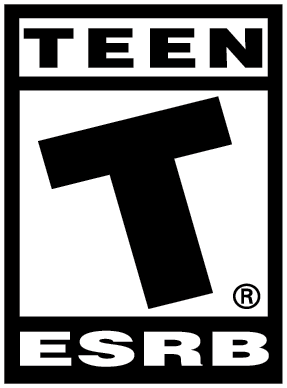 Certain fights along the way are chosen to have additional perks or altered settings to keep it exciting – like Turbo Mode for instance. Other than that, local versus is where you’ll duke it out with a friend locally and practice is where you’ll most likely be staring at the list of moves you wish you could master. Third is Online Mode that houses tournaments, ranked matches, and lobby rooms for you to fight fellow Tekken players you’ve never met before or a friend, not in arm’s reach. While Offline Mode is easy to get sucked into, Online Mode is a whole other experience where you can really test out your skills and meet the Tekken community. Whether you want to get highly competitive or just chillax and find a worthy opponent, it’s all at your disposal. Syncing matches takes a while at times, but the stability of the servers and smoothness of battles have been extremely impressive so far. Aside from actually getting physical in fights, there’s Customization Mode and Jukebox Mode. You can customize every single Tekken 7 character nearly any way you like – their hair, clothes, accessories, and even avatar or special effects. In addition, you can edit the design of your health bar, title plate, and information panel to your heart’s desire. 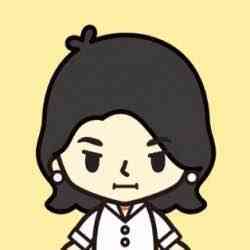 You also have the ability to listen and create a playlist of all your favourite songs throughout the Tekken games. The flexibility to edit characters’ appearance as well as the interface to make it unique and your very own is always an awesome feeling. The nitty gritty elements of Tekken 7 reside in the fighting mechanics and what happens in battles. Tekken has been known for its more technical and robust build that doesn’t necessarily push button mashers away, but has a level of intricacy to it that needs to be harnessed to get anywhere. You’ve got your basic punches and kicks both aimed amongst high, mid, and low areas of the body as well as throws, guards, and counters. Item moves make a return in which equipped items are incorporated into battles and utilized. Stage Effects are also carried over where the floor or walls can break and characters bounce off the environment. A change and new feature to the Tekken formula is the dual function of Rage Mode and inclusion of Power Crushers. Once your health lands in the red zone and Rage Mode is activated, you have the ability to use either Rage Arts a ‘super move’ with a nifty animation that knocks out around 30% of health, or Rage Drives that can be incorporated into combos dealing tons of damage if executed correctly. Usage of either move will deplete the amount of rage you have so choosing wisely is key. Power Crushers, on the other hand, are moves that do not stop even if you get hit by absorbing the damage from mid or high attacks. 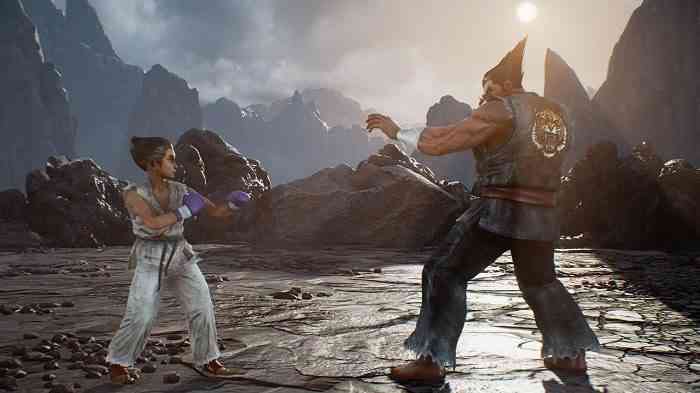 In addition, Interactive Cutscenes debut in Tekken 7 in which the camera pans to where the finishing blow will occur and slows down the fight for even more suspense and intensity. The fighting mechanics and their features in Tekken 7 are well-incorporated and feel far from awkward or unfitting. If anything, the inclusion of Rage Arts and Interactive Cutscenes make Tekken 7 more appealing to the eye, interactive, and on-par to other fighting games currently out in the market. Like past Tekken installments, it’s hard not feel powerful and mighty when in a battle as Tekken 7 continues its unique quirks and charms. Tekken 7 uses Unreal Engine 4 nicely bringing the Tekken 7 characters and world to life. Each character dawns their outfit proudly with the various colours and details associated with them while the stages have various times of day and weather conditions making for enjoyable and memorable fights. It also helps that the animations are extremely smooth and fluid making fights intense and adrenaline-filled. While some characters look a bit off at times compared to other characters, Tekken 7 still does a superb job in maintaining its overall visual quality. Cutscenes in Story Mode also transition straight into fights without any loading time successfully maintaining an engaging experience. If you’re in need of some beats to jam out to the Jukebox Mode is filled with tracks that’ll keep your head bobbing for hours. Sound effects inevitably make every land of a punch or kick overly satisfying. Voice acting has always been impressive in the Tekken franchise and there’s definitely an abundance of languages being spoken again this time around and truly plays into the authenticity of the characters. Tekken 7 continues to provide its intricate and robust fighting mechanics to consoles by having the Tekken formula balance itself between just enough of the same and also the new for returning fans of the franchise to appreciate without feeling underwhelmed. Newcomers to Tekken may find the learning curve to be a tad bit high and accessibility to resources lacking, but self-driven investigation on combos as well as tips and tricks is all part of the fun. It’s also a surprisingly suitable entry point for newcomers to learn about the Tekken universe and returning fans to have a recap. Tekken 7 is a worthy fighting game that anyone can pick up and play, but also further perfect on a highly technical level. With such a diverse cast, rewarding fighting mechanics, and tons of customization to spend countless hours on, Tekken 7 is a must-have for anyone craving a new fighting game to add to their collection.